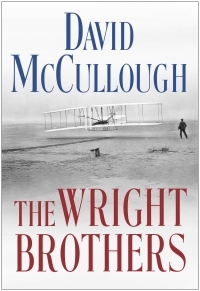 The Wright Brothers, by David McCullough (Simon & Schuster, New York, NY, 2015, 320 pages). and mother, and begin life in Ohio. August 5, 2015 (San Diego’s East County) - David McCullough, 2-time Pulitzer Prize winner, for Truman and John Adams, and 2-time National Book Award winner, for The Path Between the Seas and Mornings on Horseback, as well as the recipient of the Presidential Medal of Freedom, the nation’s highest civilian award, demonstrates in his #1 New York Times Bestseller; The Wright Brothers, why he is deserving of those honors and accolades.